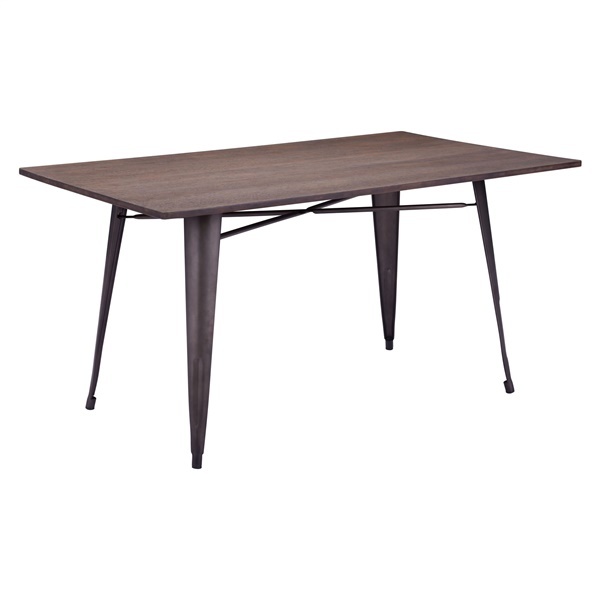 The Titus Rectangular Dining Table is the perfect combination of style and durability, which makes it perfect for home or business use. The top is made from bamboo and the frame is made from steel, which makes it a very handsome piece no matter where you place it. The rich brown color contrasts nicely with its steel legs.